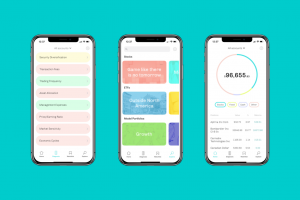 On February 8, Wealthica’s partner Montreal-based startup Hardbacon launched its iPhone app, aiming to democratize investing among younger population groups. The application is compatible with a number of online brokers including BMO InvestorLine and TD Direct Investing. It is designed to help users monitor their investments as well as to obtain real-time analysis of their stock market portfolios. Hardbacon’s integration with major Canadian brokers is the fruit of its collaboration with Wealthica. Hardbacon raised nearly $70,000 during a spring 2017 crowdfunding campaign. It also received funding from Queen City Fintech, an American accelerator specialized in fintech. This relationship should help market the application in the United States. The new app has been noticed by Apple, which has included it in its list of “New apps we love” in the App Store.